Apps are everywhere, on your phone, your tablet, your computer… If you’re like me, constantly checking your devices for any updates will prove to be frustrating. Enter Pushbullet, a service that allows you to have updates delivered to you no matter what device you are on. It is a very versatile piece of software with many features that are essential to regular and power users alike since I do not know of anyone who likes clutter; most of all when it’s from that game you only play on the way to work. Therefore Pushbullet is what I’d like to call a ‘Notification Management System’ where you manage which notification you get, on which device; hence the selected devices* will always show the most important updates. 1. 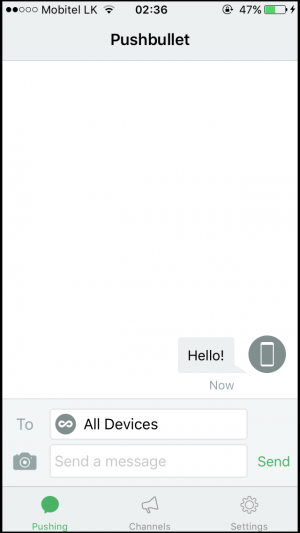 How Is Pushbullet Useful? Well in a perfect world, all you need on a desk. 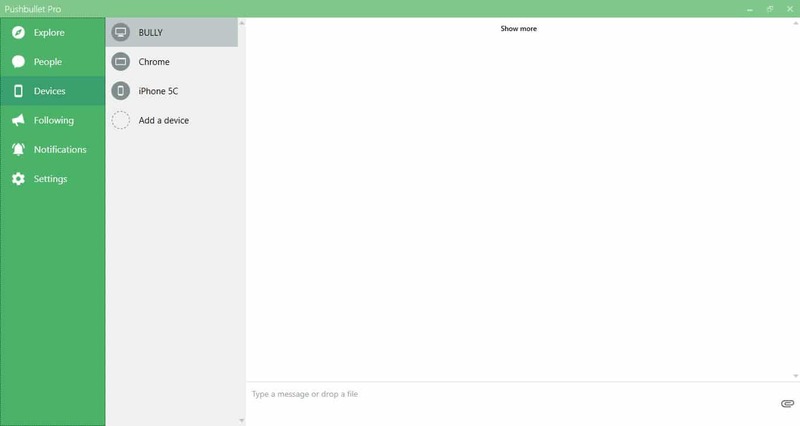 Pushbullet brings that perfect world to you, a minimalist workspace with the needed updates at your fingertips. 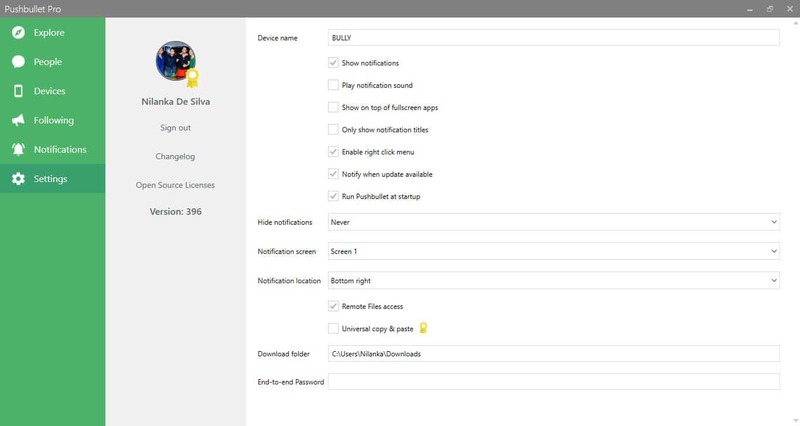 Texts, notifications, links, files all available on the devices you got the service on. So make some space on your desk (Maybe for your buddy, sharing is caring ?) because Pushbullet has let you leave your devices elsewhere allowing you to focus on your work, and your workspace too can look like the one below. Since your phone’s notifications, maybe from your favorite game, will be shown on the current device you are one, you don’t have to physically go to your phone to check them; hence Pushbullet aids your workspace to adhere to the Japanese 5S methodology. To start with the service you have to signup, which can be done via an already existing Google account or a Facebook account. The following screen is where you click the “Sign Up” for relevant account. Here I will be using my Google account for the signup process. This is how it looks when signing in to Pushbullet on mobile(iOS) which was installed from the app store. 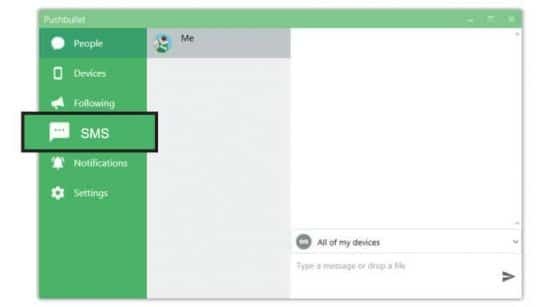 Next we proceed to test our devices, you can see below that the devices I have signed into my Pushbullet account on are automatically added and shown on the desktop application. I will send out a simple text, “Hello!”, to all my devices from the app on my mobile. Let’s look at the many beneficial features that the service presents us. This feature is offered on both the basic and pro versions both of which have file size limitations (25MB on the basic, and 1GB on the pro). 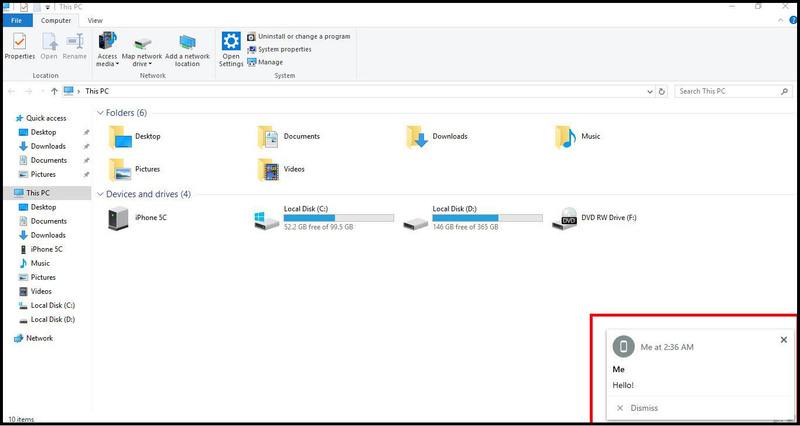 It’s easy to transfer a file between the devices; you select the file you want to share across your devices drag and drop the file onto the app (on desktops). Additionally on mobiles, just select the file you’d like to share and choose Pushbullet from the sharing options. Once the Chrome add-on, Firefox add-on, Safari add-on, or Opera add-on is installed on your respective browser. A web URL can be pushed to the desired device by using the Pushbullet menu accessed by right-clicking on a web page. The above used to be the only way to share the files on your computer via Pushbullet, but now it has become possible to access the files on your PC remotely. You no longer have to go through the trouble of dragging and dropping the files you want to share. This feature is available without restrictions for all users. After this option is enabled you can access the files on your PC using your phone (currently only supported on Android platforms). Which will look similar to the following screen. 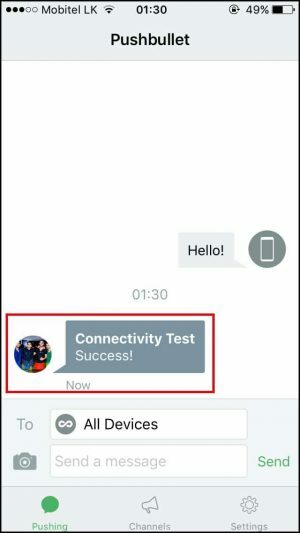 Pushbullet has upgraded their SMS capabilities for their Android based app, it used to be that you can simply send a reply to the SMS that you received on the phone. 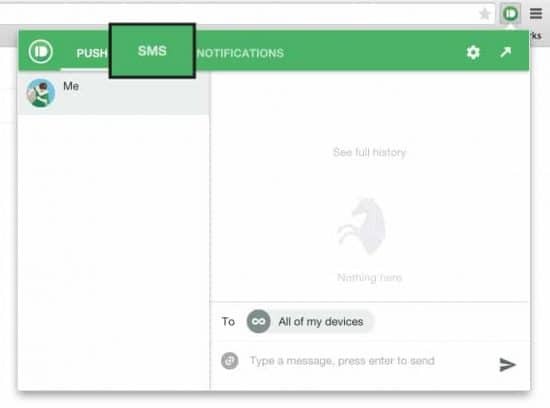 With the upgrade, the Pushbullet team has gone far as to provide a full-on SMS client that shows all the SMS threads that you got on the phone on, your desktop. It’ll be just like texting on your phone ?. 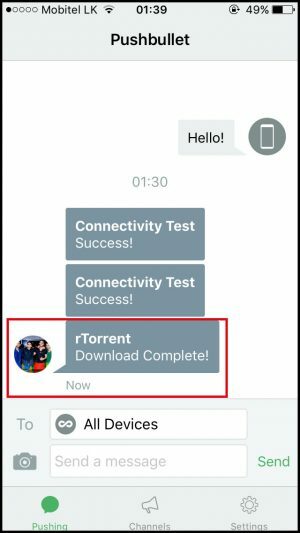 SMS threads available on your phone will be shown on your PC app too, like in the image above. This feature is available via the Chrome extension too. You can create or subscribe to already existing channels to get important notifications for popular companies. This feature is still catching up, so do not expect to see lot of updates on the channels. But it’ll serve as a better way to get important news. 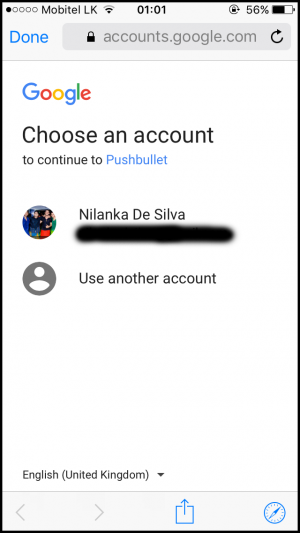 We now know that Pushbullet offers notification sync capabilities, but this is not the only feature that makes this service a must-have. 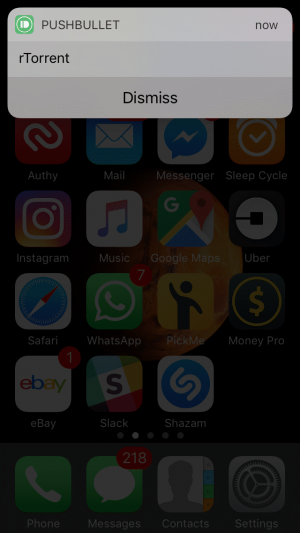 The service now supports extended notification functions, since most notifications today have different actions included in the notification itself (like snoozing the alarm on your phone), Pushbullet has integrated support for these in the Android devices. One of the best and useful features the service offers is universal copy & paste. Where you can seamlessly copy and paste content across your devices. Gone are the days of having to email yourself that link you’ve been browsing on your mobile, just so that you can view it on your desktop. This feature is limited to pro plan subscribers, and complete iOS support is just around the corner. The service offers encryption to all users for the data exchanged and accessed. According to this article, Pushbullet forwards only encrypted data from point to point when this feature is turned on. They use AES-256 for the encryption which is very secure. Also, according to them nothing, key or password, is ever stored on any server since there is no server involved with the End-to-End encryption process. 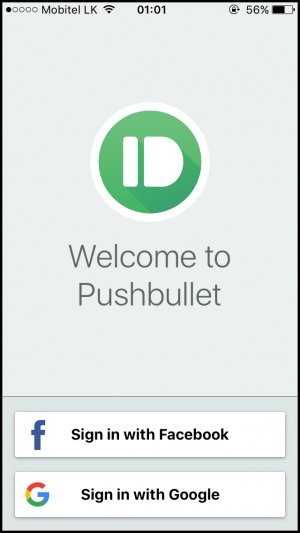 We have seen what Pushbullet can do for the average user, what does it do for the more technical user. You can quit doing SSH every 5 minutes to check on the completion of the sync job you setup on your storage box. Want to know if your bash script ran well? Done. Below we can see the results of the cron job we have created on our devices. Back to business, given you went with an awesome provider like so, and they too provide you the option of using many torrent clients on your box, and you use rtorrent as your client; compared to almost all torrent clients out there rtorrent is the most lightweight. Here “push“ is my alias to the script “push.sh“ we created following the Rapidseedbox Help Center article. I have gone a step further to create a symbolic link of the script in the ‘/user/bin‘ directory so it becomes available systemwide. Next, we use rtorrent’s built-in functionality to run a script on the completion of a download to call the ‘push_rtorrent.sh‘ script by adding the following to the end of the ‘.rtorrent.rc‘ file. Restart rtorrent and you’re good to go! ? Many modern torrent clients have the ability to run scripts on torrent completion inbuilt, but nevertheless, the uses for Pushbullet are endless Letting your imagination flow will let you improve your productivity drastically using Pushbullet. Below are the screens of our rTorrent setup. As a verdict, a service like Pushbullet is an essential today. It offers great value for the price of $3.33/m when paid yearly ($39.99) or $4.99 if paid monthly; although they provide most of the great features on their free version as well. *Pushbullet is officially available on Windows, macOS, Android, and iOS platforms. Unofficial full featured free clients like PB for Desktop are available for Windows, macOS, and Linux users.